When introduced to water, Water Retention Crystals expand and swell quickly to hold several times their weight in water and water soluble compounds, such as fertilizer. Water Retention Crystals increases the water holding capacity of soils, reduces irrigation requirements, prevents leaching of nutrients, reduces transplant shock, increases the shelf life of the plant, and is environmentally safe. Water Retention Crystals increases the number of days between irrigation and is ready to capture water on the next irrigation. 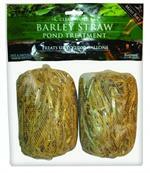 It can be used on vegetables and bedding plants, turfgrass areas, container shrubs and trees and in plant mixes. 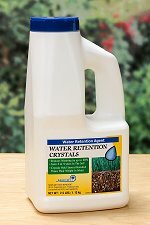 Would you like to see the Water Retention Crystals Label? How about the Water Retention Crystals MSDS sheet?